Urban foxes can often be seen wandering through people’s gardens however for many people the real nuisance and problem begins when a vixen decides to make her den in your garden. Many of our clients have said that initially they found the urban fox a novelty, however they soon go on to discover that a family of fox cubs and two adult foxes can cause a lot of damage to their garden, not to mention the dangers and diseases posed and spread by these animals. Please click thumbnail to play video to see just how brazen urban foxes can be. Normally in early spring vixens will start to have their cubs, each vixen can have between three to six cubs each year. The vixen will look for somewhere warm and safe to rear her cubs. The void under garden sheds and timber decks are a favorite location for urban vixens to have their cubs, as they often resemble a ready made natural den. The fox cubs will start to emerge from the den after four to six weeks. Prior to seeing the cubs a telltale sign that a vixen has made a den in your garden is by finding flowers flattened and items such as, bird wings and rubbish in your garden. As stated in our urban fox page, urban foxes are on the increase in Dublin city and it’s suburbs. Whilst we can provide you with a service to remove urban foxes we can also ensure that another fox does not make a den in your garden in the future. As soon as you notice a fox residing in your garden we would recommend that you contact Wildlife Management Services who are specialists in dealing with this problem species. 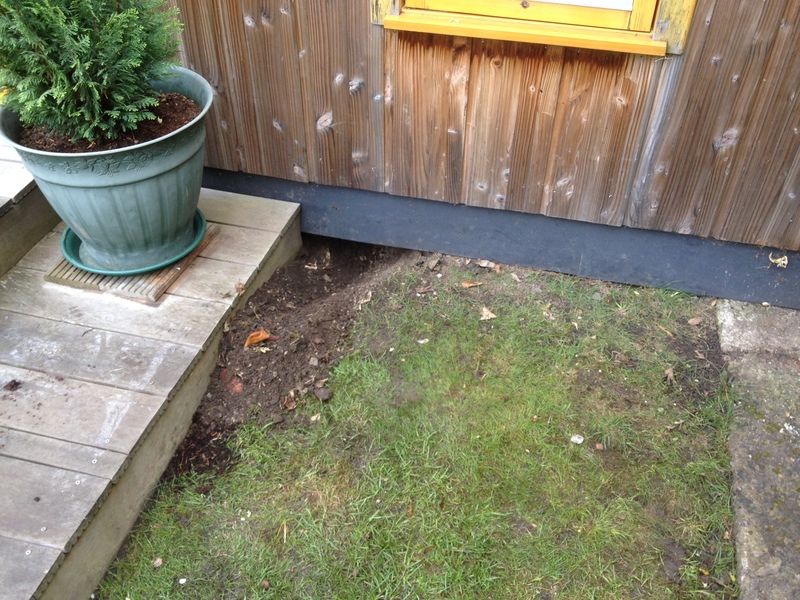 Once the foxes have been removed from your garden we would also recommend that you get the areas where foxes have taken up residence fox-proofed. You should never attempt to block off or proof a fox hole or den yourself as this can result in a fox getting trapped inside and starving to death.Without adequately fox-proofing your decking or shed after getting the foxes removed there is a high chance that another urban fox will use this area for building a den in the following spring. Contact us now for any further information on this service.